We are excited to share with you that we raised over $5,000 of our goal of $10,000 at the Lawn Concert fund raising event on Saturday evening in Virginia. On behalf of Moegyo Humanitarian Foundation family & the girls at Kyite Latt Orphanage, we would like to thank all the donors, sponsors, guests & volunteers for making this event a success. The funds will go toward building a sleeping quarter for the girls at the Kyite Latt Girl Development Center located in Myanmar (Burma). 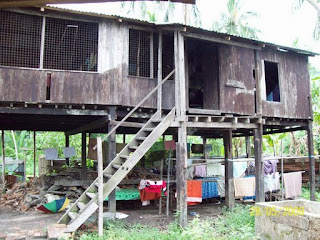 There prior sleeping quarters was destroyed over a year ago by the cyclone Nargis. Since then the girls have been sharing sleeping quarters with the nuns that run the center. We appreciate everyone coming together to support the cause despite the short fall of rain. We would like to also thank you for bringing your friends, bosses, co-workers & family members etc., We were honored to have all of you at the event and hope to continue the friendship through many years to come. We are very pleased to announced that the event was made possible by many sponsors so that 100% of the proceeds of the event including ticket sales and your donations can be used for the project. It is heartwarming to see a community of people over 8300 miles away and unknown to the orphans have such a positive and profound impact on those in such need. On behalf of Girls Orphanage located in Kyite Latt (Irrawady Delta Region, Myanmar (Burma)), Thank You!! Please click here for the photos of the event.